Our most popular items are our salads, which are great appetizers before the main meal. You will love our salads because they are made-to-order and are prepared using the freshest ingredients. 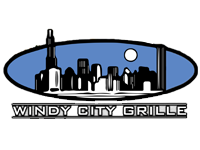 Windy City Grille is well-known for pizzas that are made from fresh Chicago-style dough. We serve both thin pizza and deep dish pizza. We serve a variety of wine, beer, and specialty drinks every day at both locations. Plus, we have happy hour in both restaurants every Monday to Friday, from 3:00 p.m. to 6:00 p.m. Additional drink specials are available every night. Contact us today in Como, Mississippi, to taste our salads and deep dish pizza.